Healthcare use and expenses are not controlled by the usual pesky supply and demand curves. If supply rises, price goes down; if supply falls, price goes up. If demand increases, price rises: if demand decreases, price does as well. “Well” people purchase houses, clothes, food, automobile repairs, vacations and so on. The pesky supply and demand curves function; they even function in the insurance market of homes, cars or lives. Individuals can make an independent assessment of the cost and/or of repairs and the value of the policy. Sick people do not think like “well” people. In the United States, a high price never suppresses healthcare demand. A sick person wants any technology that has even a remote chance of improving clinical outcome. He is not assessing relative risk and benefit in terms of side effects and certainly not in terms of dollars and cents. In those countries with government run healthcare, supply and demand are controlled centrally. The costs are less. Governments do not think like sick people think! Insurance companies fit into this conundrum because they shield individuals from cost. They fit into this conundrum because they cannot audit the bluebook. 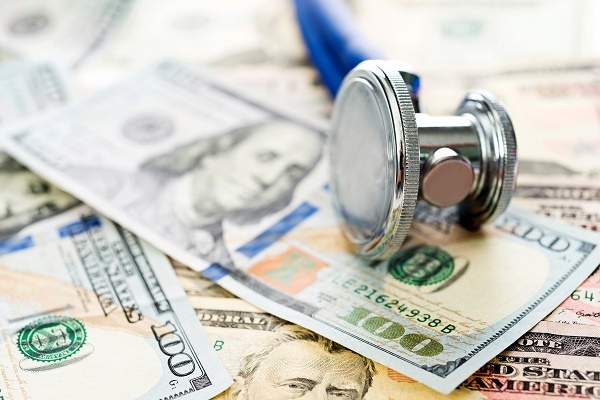 Many things occur in the United States concerning health care cost, but I think unpaid medical bills is causing the cost to continue to rise. For example, if a hospital gave treatment to 600 patients, but only 100 patients had health care insurance the hospital is not profiting. “Illness and medical bills contributed to more than half of bankruptcy filings, a new report shows”(WebMd,2005,Para1).The hospital is losing money if the uninsured patients decide not to pay the bill. The patients that do not pay the bills has free care until the bill or bills is on the patients credit. Medical debt is a debt that is ignored, which has a major impact on and individuals credit score. The cost of health care continues to rise, and it has an impact on the individuals who pays for private insurance because the monthly premium rise as well. The question is, is it fair to the individuals that do pay a monthly premium for health insurance? I think it is not fair because a person paying for insurance should have an increase according to their income. The individual budgets monthly to maintain health insurance, it is only right to make it fair. It is so many issues concerning health care in the US, so the government must make the ethical decision.